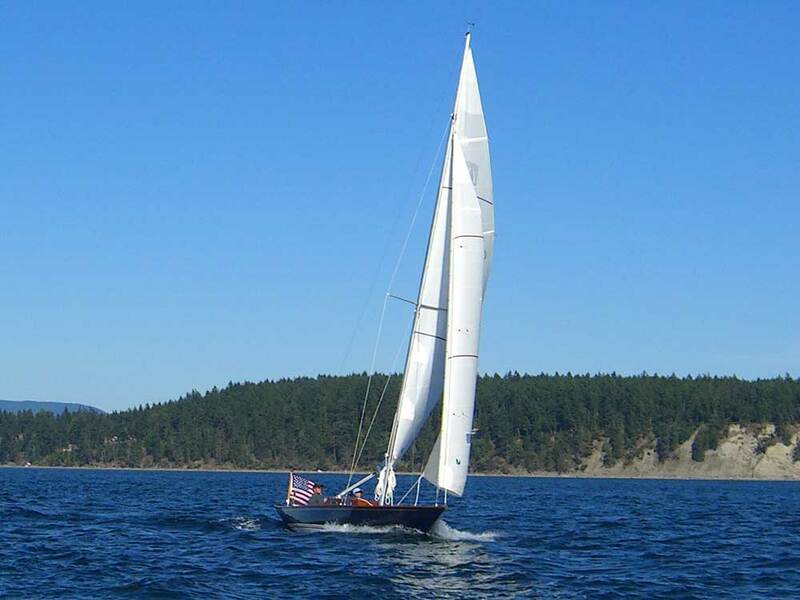 The Daysailor, a 28' custom design based on one of designer Carl Alberg's finest hulls, is a premium vessel of unique concept. 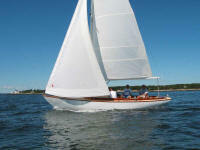 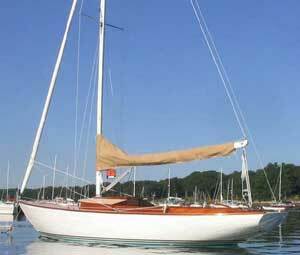 Constructed around a fine vintage fiberglass hull, the new decks and interior feature classic styling cues, abundant solid mahogany trim, and a huge 12-foot cockpit for pure sailing enjoyment. 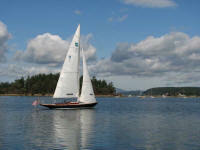 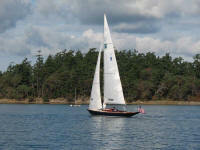 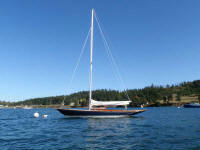 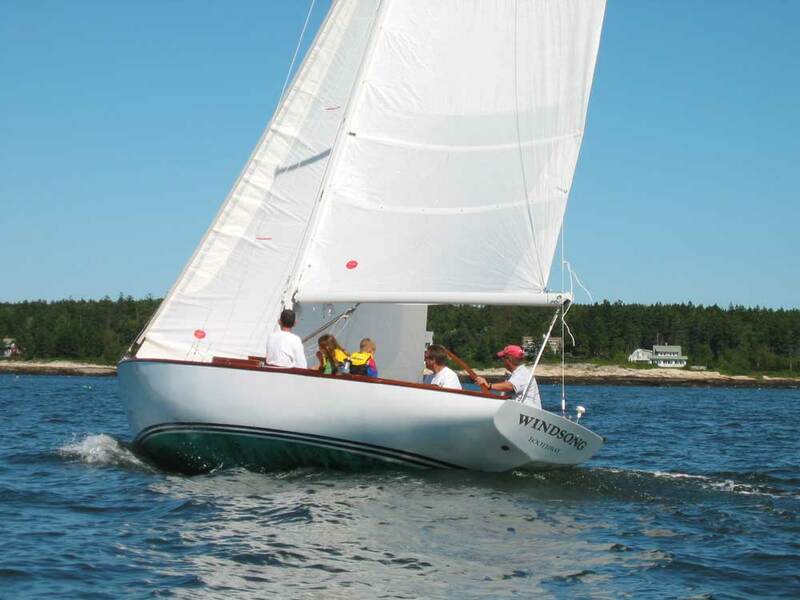 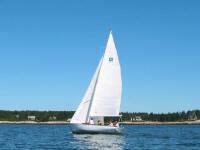 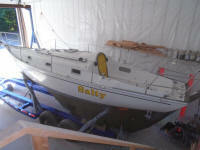 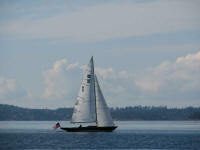 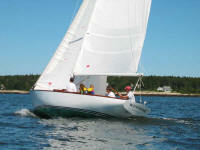 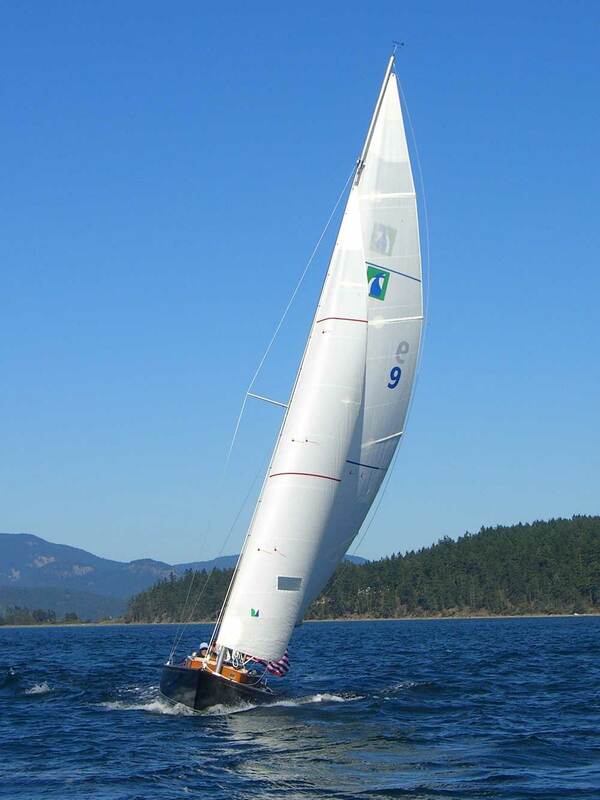 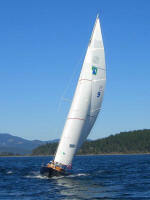 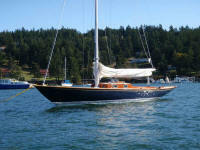 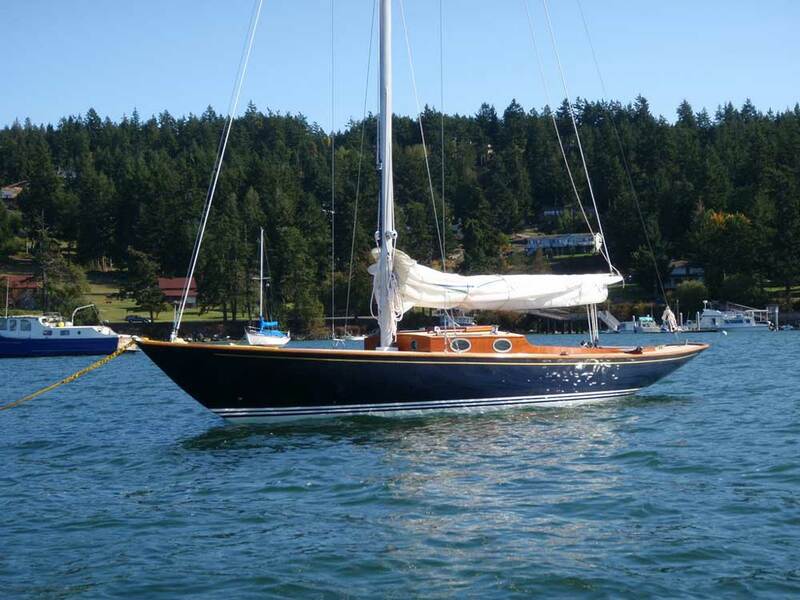 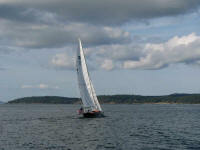 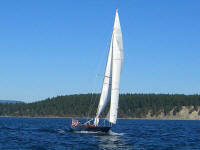 Lackey Sailing built this boat on speculation over a 2-year period, culminating in her launching in August 2005 and sale to a discriminating buyer in October of that year. 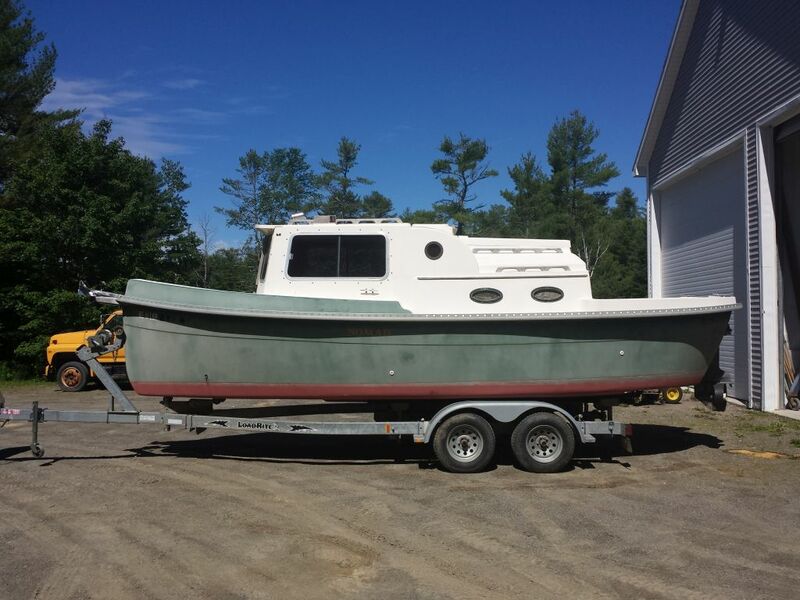 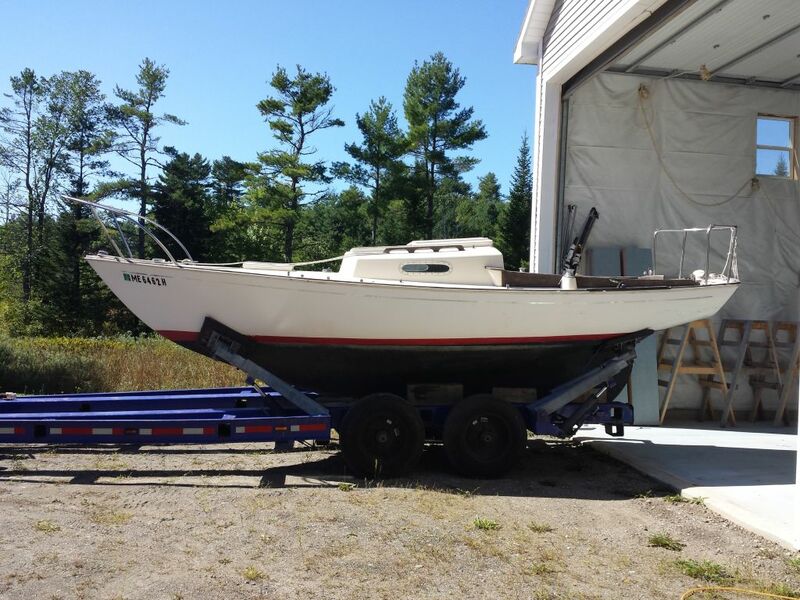 This boat garnered significant interest and positive reviews, proving that it often pays to look past the immediately-obvious condition of an old boat and visualize the possibilities. 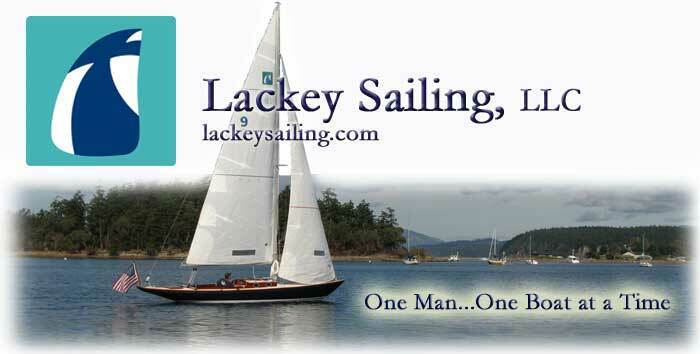 In a similar vein, during the winter of 2007-2008 Lackey Sailing/Northern Yacht Restoration was awarded the chance to create an interesting Shields class conversion project. 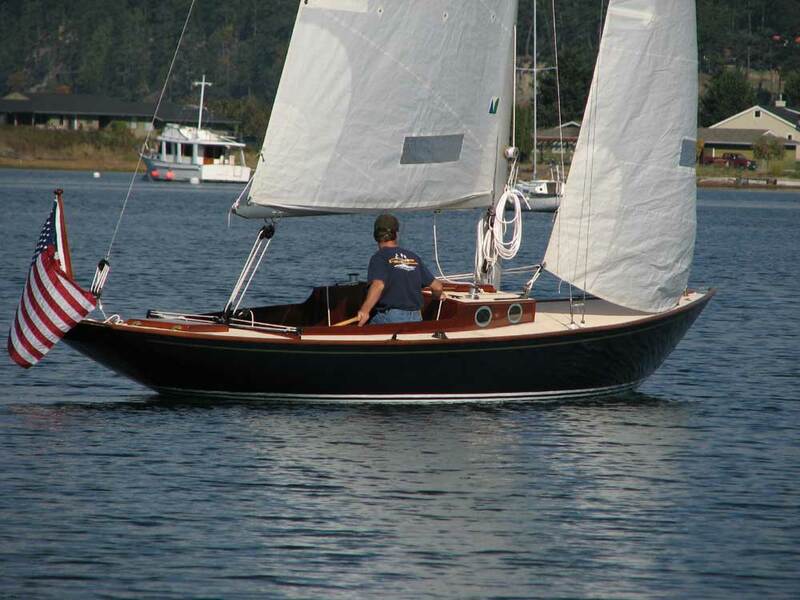 The owner requested that we modify the deck and create a small cuddy cabin in the tradition of the "Knockabout Sloop" genre of the 1950s and 1960s, with the Dark Harbor 20 providing the most notable conceptual traits. 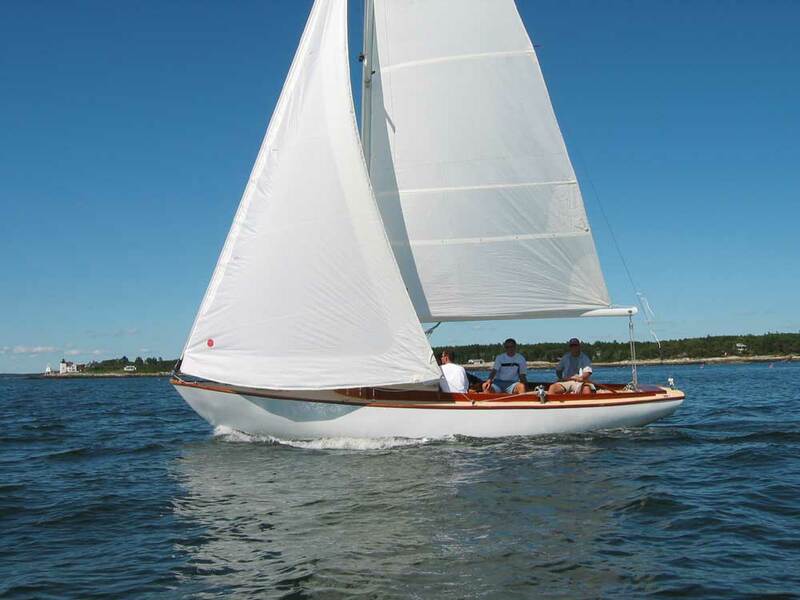 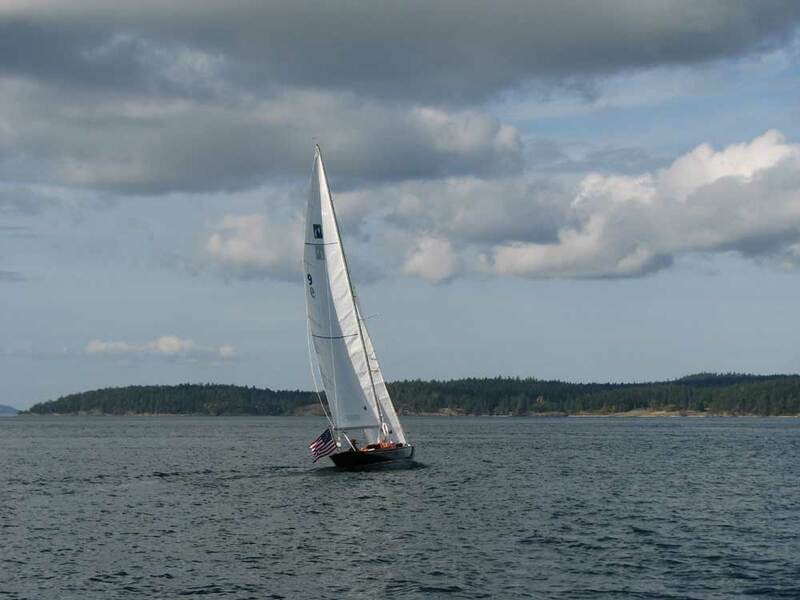 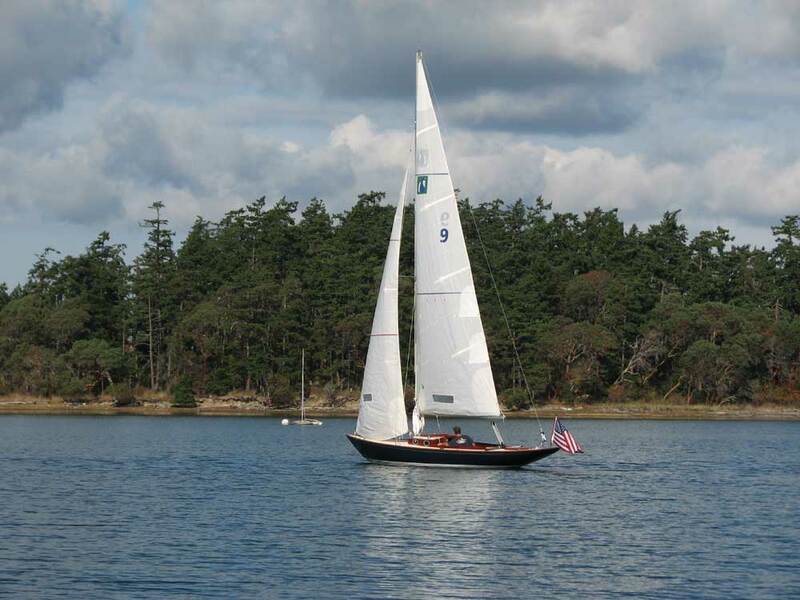 Initial reviews of the appearance and quality of the work invested in Bolero were extremely favorable, and the owner reports that she sails beautifully. 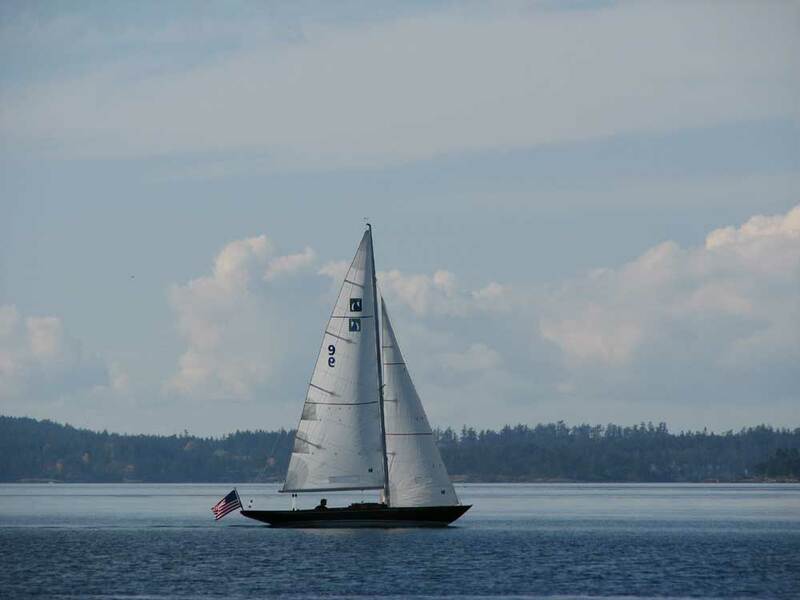 Please click here to view a detailed project log of this unique project. 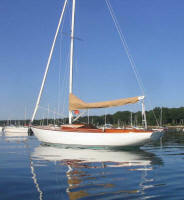 Perhaps we might talk about that old design you've had your eye on, and consider what she could become. 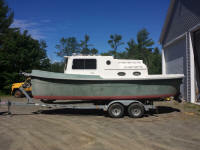 This sort of project is not for everyone, to be sure, but in a world of overpriced "gentleman's boats" of dubious utility, the conversion process can be a suprisingly affordable way to get the custom boat of your desires.